Looking for a California getaway? Enter to win a two-night, $2,000 getaway for four to Santa Maria Valley1. Three hours north of Los Angeles, stretching from northern Santa Barbara to San Luis Obispo, is some of what I like to think is the best of the Pacific coastline. It’s known as the Santa Maria Valley, and here you’ll find everything from wine-tasting to hot-air ballooning. If ever there were a place ripe for equal parts exploring, adventuring, and kicking back, this is it. It also just so happens to be one of the “Happiest Cities in the US,” according to Nat Geo. Everything you need to pack the itinerary is within a 30-minute drive from the city of Santa Maria, the perfect home base while you’re learning all about what we call #SantaMariaStyle. Forget the traffic and the crowds down south and up north — here’s 11 experiences to prove that what matters lies in between. Santa Maria Valley sits in the middle of six AVAs (American Viticultural Areas), the American equivalent of European wine-growing regions. Classy, sure, but the vibe couldn’t be any more different from places like Napa. This is the “I can wear a t-shirt and play giant Jenga and not be asked to leave after it crumbles six times” kind of vibe. Renowned for everything from Pinot Noir to Chardonnay, the Valley will throw more varietals at you than you’ll be able to remember, but what you really want to try is the Syrah — it stands alone. There are 34 wineries and tasting rooms in the area, and each is going to bring something slightly different to the table. Have fun finding your favorite! Prep your palate for the hops and malt…this is California we’re talking about, after all. From IPAs to experimental, never-before-seen-in-a-pint-glass concoctions (try the spicy Pepper Blonde at Naughty Oak Brewing Co. in Orcutt), if you’re bored here, that’s on you. Heck, there are even options for fans of the simple apple. Head out on the Avila Valley Apple Trail, starting just north of Pismo Beach, which comprises five local, family-owned orchards (definitely don’t miss SLO Creek Farms). You can even get your apple champagne on at a couple of the tasting room stops. Right around the corner: Firestone Walker Brewing Co. (gotta try that Stickee Monkey!) and Santa Maria Brewing Co. 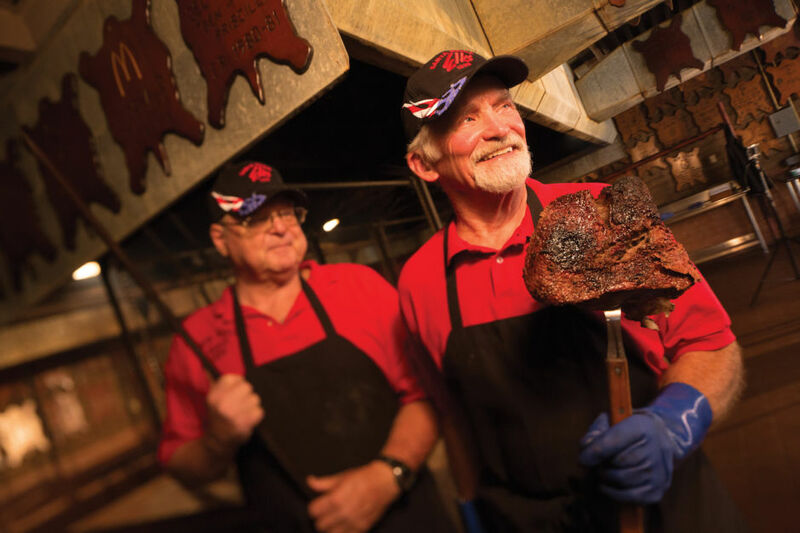 The American South doesn’t have a monopoly on barbecue, and California’s Santa Maria Valley has a style of its own namesake. #SantaMariaStyle predominantly features Top Sirloin, and the only seasonings needed are salt, pepper, and garlic for a meal that’ll have you firing wildly into the air like an old-timey cowboy. The style is so popular it’s copyrighted by the Santa Maria Valley Chamber of Commerce. Just like a good steak shouldn’t be contaminated with sauce, good barbecue doesn’t need it, either. There literally is nothing more thrilling than seeing Santa Maria Valley from above, whether gliding gently over it or screaming as you plummet towards those luscious grape vines on an 18,000-foot dive. (Turns out, I can scream in a very high pitch.) From the air, the Santa Maria Valley is a feast worthy of consumption, whether seen via a serene hot-air balloon ride or while skydiving. I prefer the former, personally — less screaming. Wherever I am in the Santa Maria Valley, a whisper on the wind always finds me, and it’s usually Doc Burnstein’s voice calling. 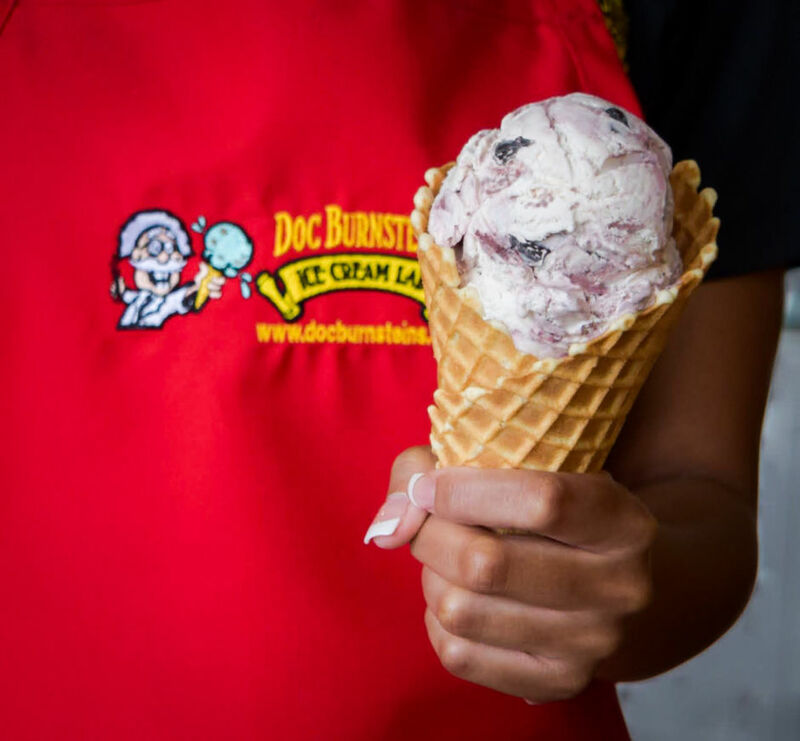 His ice cream shop is called a “lab” for a reason, and it’s more akin to Willy Wonka’s factory than an ice cream parlor. Fountains of ice cream, walls of ice cream — this place (in Old Town Orcutt) will make you question why you’ve thought of the dessert as just a dessert for so long. There’s over a 100 recipes to try, though you shouldn’t leave without tasting the “Motor Oil” (it’s a classic). Occasionally, you’ll find demonstrations going on, too — of course, every flavor is made onsite. Once you’re stuffed, you either need to nap, or budget time for some quality walking (gotta work off that Motor Oil somehow). In Orcutt, I never miss the Old Town Market, nor do I skip the opportunity for super-unique homemade and handmade goods. Who needs a jar of pinquito beans and a bag of Susie Q’s oak chips? This guy. I never leave without a Syrah or Pinot Noir, and I’ve seriously considered buying a Danish aebleskiver pan. 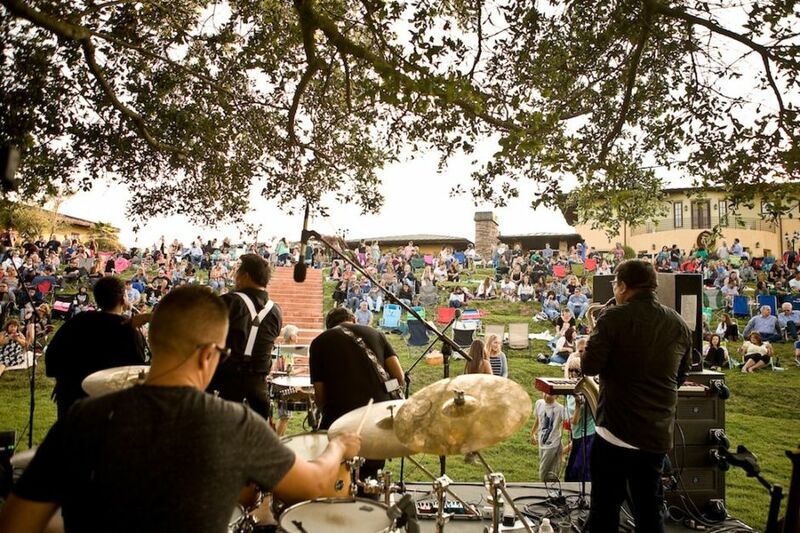 Santa Maria Valley is barbecue and wine and beer and outdoor recreation, so obviously it’s also live music. 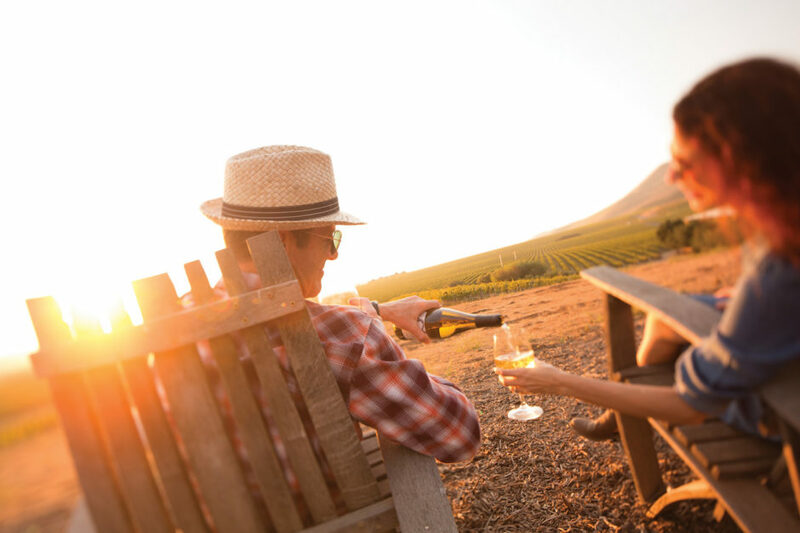 The dozens of wineries are consistently jam-packed with tunes, and lively pubs fill the void whenever you’ve had enough Syrah. My personal favorite to-do is to seek out Ca’ Del Grevino Cafe & Tasting Room in Orcutt, where live music is featured pretty much nightly, or I just take a walk in downtown Santa Maria and follow my ears. Flannel, beer, and hops, yes. Outdoor adventures, thermoses of fresh-roasted coffee, and brunch stops, of course. But nothing says culture quite like popping in a monocle and visiting a museum, and somehow the Santa Maria Valley has its share of that kind of history scattered throughout, too. There’s the Natural History Museum, the Railway Historical Museum, the Discovery Museum — and that’s not mentioning the intense geological history you’ll find outside, for example when hiking to Mussel Rock or stargazing on the trails around Los Flores Ranch. Questions, questions: Should you put on your hiking boots for a walk around Oso Flaco Lake and the Rancho Guadalupe Dunes Preserve, or climb to the top of South Hills near downtown SLO to watch the sunrise? How about renting an ATV at Pismo ATV Rentals and going nuts on the dunes? Or maybe horseback riding, mountain biking, or hiking on the 15 miles of trails that wind through Los Flores Ranch Park? Decisions, decisions. Personally, can’t beat the views on a coastal hike, but therein lies the problem: All of the views are spectacular. One does not tend to walk into the Santa Maria Valley and walk out without an epic trail experience — and sometimes that trail is a wine trail. The Foxen Canyon Wine Trail winds for 32 miles from Santa Maria to Los Olivos, passing 16 wineries along the way. That ratio is also what we call #SantaMariaStyle. You can drive the route, too, but cycling it means taking it at a slower (safer) pace and getting some fresh-air time with those views. It’s mostly rolling hills and gradual climbs, but head north earlier in the day if you can to avoid those valley winds. You know how your dating profile says you enjoy long walks on the beach? Stop saying it and really do it — you can be your curated, wonderful online self on one of the many stretches of sand within 30 minutes of Santa Maria. And, of course, you can do other stuff, too. Fond memories of sitting around a bonfire on Avila Beach with a bag of freshly caught clams (well, you dig ’em up on Pismo Beach, where clamming is a local pastime) and good friends come to mind for me. For others, it might be climbing what’s said to be one of the highest dunes in the Western US at the Guadalupe-Nipomo Dunes Center. Turns out, both are #SantaMariaStyle in spades.